His Eminence performed Divine Liturgy with the Father Rector Archpriest Seraphim Cordoza and guest clergy. 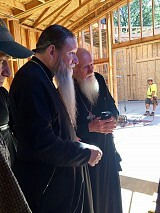 After Divine Liturgy Archbishop Kyrill toured the construction site of the new church, which is being built in honor of Saint Innocent of Irkutsk. The new church will be located a stone’s throw from Interstate Highway 5. 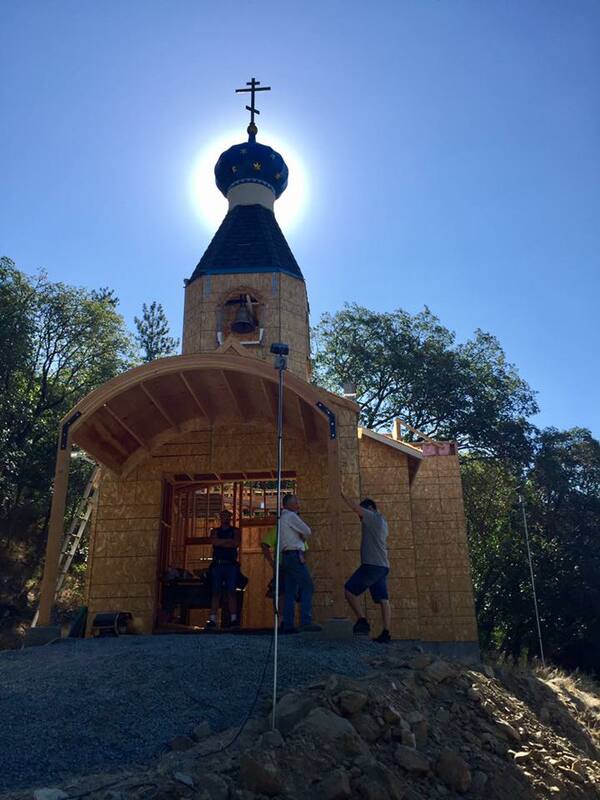 Saint Innocent Russian Orthodox Church was founded in Medford, CA, back in the early 1980s by Hieromonk Seraphim (Rose) of St. Herman of Alaska Monastery in Platina, CA. More information about St. Innocent’s Church and it construction can be found here.